If it's Friday we must be back in London. Every Friday I take a virtual walking tour ‘above ground’ on the London Underground. Using my Tube guide & my fitbit® device, my goal is to walk 10,000 steps a day roughly following along the Underground route, reporting back here on Fridays with my findings We've just finished following the Central Line, took a detour to the Tate Britain. This week we're following the District Line. Here are the previous days. This is Day 64. The Tower calls. You can take the tube, either the District line (which we're following this week) or the Circle line to the Tower Hill stop. From there it’s a wee walk to the Tower of London. 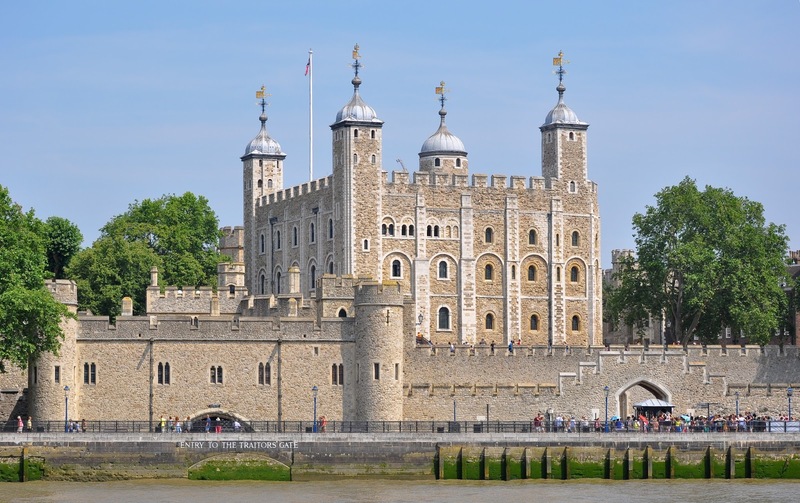 Outside of Buckingham Palace, the tower has to rank as one London’s top tourist attractions. I’m expecting crowds. 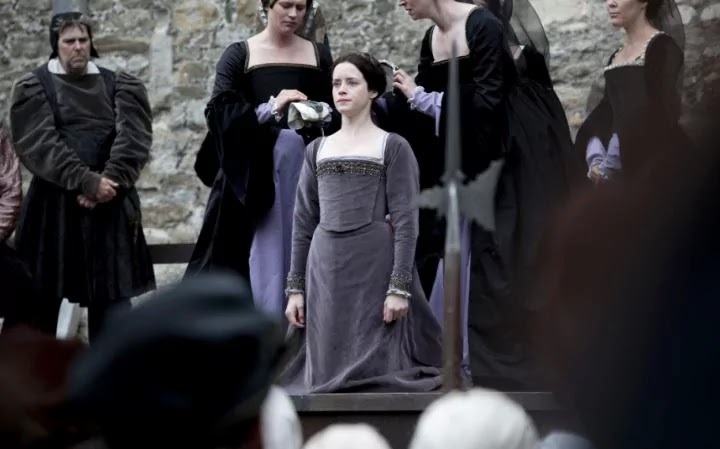 A crush of people from around the world eager to see the spot where Ann Boleyn was imprisoned and beheaded, the spot which now houses the Crown Jewels. The Tower has a long history, so much of which, despite my British birth, I’m far too clueless about. Luckily for me and my fellow history dummies, a free one hour tour of the Tower is included in the price of your ticket. 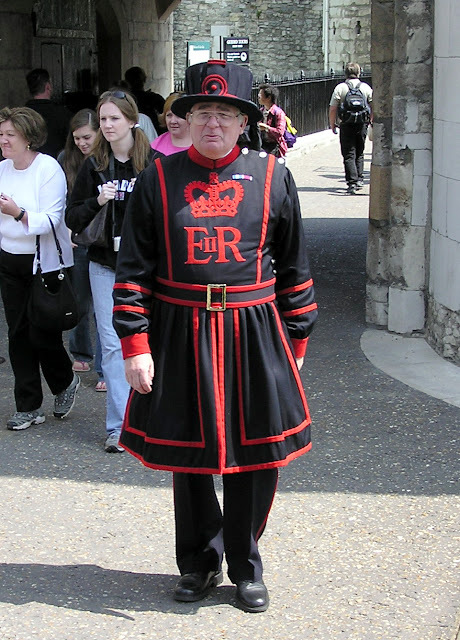 The tours are led by Yeoman Warders, nicknamed Beefeaters because back in the day they had the privilege of taking their meals and all the beef they could eat from the king’s table. Before your eyes glaze over, I’m told the guides—a select body who have a minimum of 22 years of honorable military service—are a bloody funny lot. To be honest, I have a love/hate relationship with tourist attractions like this, historical places with walls that whisper from the past while present day visitors giggle and guffaw as guides do their best to infuse history with humor that appeals to our short attention spans and modern sensibilities. I think the history is fascinating enough in itself without a guide having to resort to the kind of material I used myself as a tour guide at Universal Studios. “Anyone from the states?’’ the Yeoman asks his group. “Yeah, we are’’ a few Americans speak up. Ha ha ha. The group eats it up. Ah well, I suppose a spoonful of sugar helps the medicine go down but I can’t help wishing I could wander around the Tower when no one else was around. I prefer a guided view of the ancient walls un-marred by my fellow visitors from all over their world dressed not in chain mail or doublets and ruffs, waistcoats and breeches but in torn Levis, cargo pants, baseball caps and technicolor Nikes. Let’s watch and listen in to part of the tour. You never know when there’ll be a pop quiz. There are plenty of these tours on YouTube, notably by Bill Callaghan, and one thing I learned from sampling them is that there IS an audio guide. If the yuks get too much, or you’d rather go it alone, that’s something to think about. I haven’t decided whether to move on or stick around the tower next week. I hope you’ll join me wherever I go. Sorry everyone! I had a power outage yesterday making it impossible to finish posting my weekly contribution to British Isles Friday hosted by Joy Weese Moll. We skipped this (love/hate relationship with touristy stuff), but I really wanted to see The Royal Mint exhibit due to a fascination with Isaac Newton -- so we may get there next time. I'm thinking that starting early in the morning is the way to go. I loved seeing the Tower of London from the boat that we took to Greenwich. The way many people in history, including Isaac Newton, saw it. I enjoyed several audio tours while we were in England, some better than others, but often very informative and let us go much more slowly than the average tourist. Yes! That's the ticket. I'm not by nature an early riser but walks without my fellow tourists clogging the streets sounds good. I lvoe the idea of the boat as well. Same way Anne Boleyn went as well.